Welding is a diverse field, with several different methods depending on material type, use, and many other factors. Having an excellent welder on your team means the difference between letting your customers down and offering quality products. To help find the best welder around, we’ve put together a list of five characteristics of a great welder. So many welders in today’s industry just know how to weld. They do their job and do not seek any advancement of their skill. Great welders gather as much knowledge about welding as they can. They are well versed in metallurgy and the theory behind welding. They know several different methods, not just the one they specialize in at the time. They stay current and are always open to learning new methods whether it is required of them or not. Great welders put safety first and inspire others to do so as well. Accidents happen when workers get careless about safety. The best welders uphold safety protocols and remain aware of the danger of the tools they are working with as well as anything flammable in the area around them. They are not afraid to speak up and hold others accountable as well. Good welders understand how to read blueprints. They understand how their welding fits into a project as a whole and the risks of their welding being subpar. After all, the quality of their welding may mean life or death in some cases. They may also be able to look at the plans and advise on why additional welding or a different type of welding might be needed. Great welders understand that sometimes the job can be tedious if the same weld has to be made many, many times. They know those welds are still important to the quality and possibly the safety of a product. 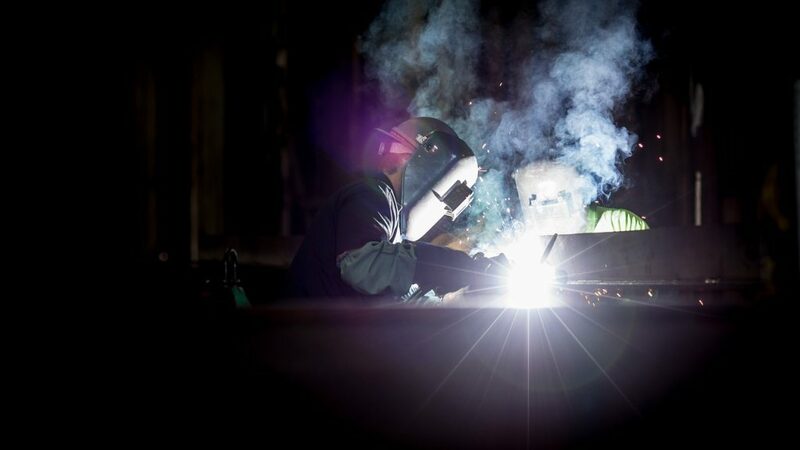 Great welders remain detail-oriented despite the repetition of the job. Finally, a desirable characteristic of any worker is the ability to work with others. Great welders become great through trial and error. In order for welding skill to improve, welders have to be able to accept constructive criticism. They fix and learn from their mistakes. And they need to able to communicate effectively to keep other team members informed. Knowledgeable welders should share their methods and skills with other workers as well. It’s not just good for future production, but it helps the welding industry as a whole. Let us know what you think makes a great welder. And don’t hesitate to give us a call at West Arc Welding when you need a job done.